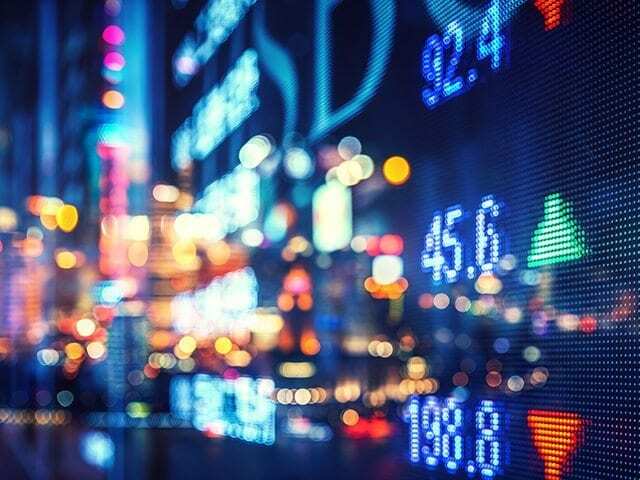 Fintech companies in Canada are reimagining how we access and spend our money, as well as changing the way that banks and financial organizations interact with consumers. And investors are buying into their innovative solutions. From bank account security software that uses biometric identification to online mortgage applications, credit score generators to AI-powered personal banking assistants, these fintech ventures are radically transforming the Finance & Commerce industry. 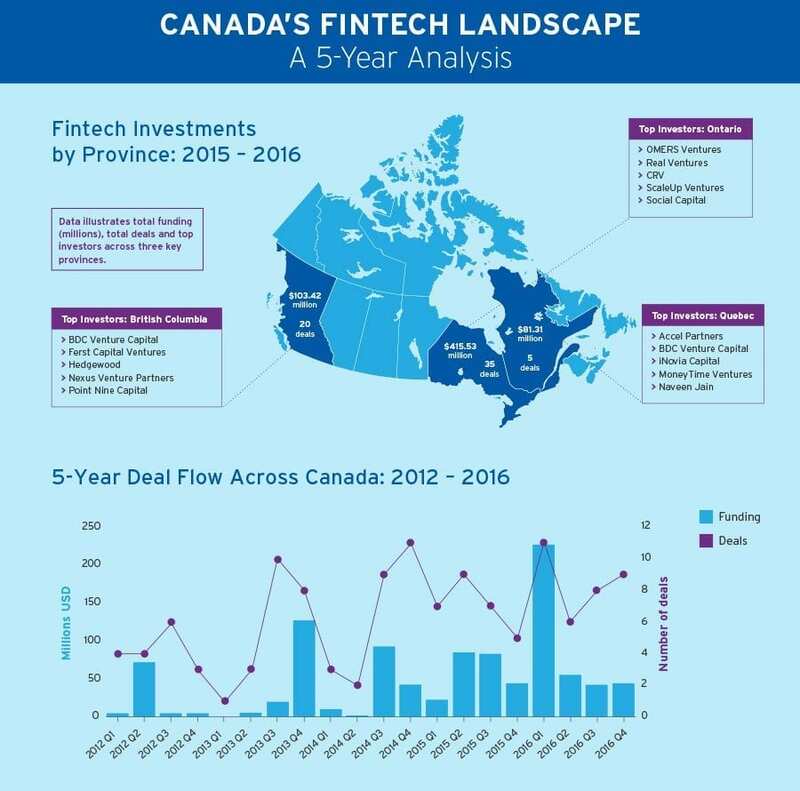 The latest MaRS infographic gives an overview of Canada’s fintech funding landscape between 2012 – 2016, as well as drilling down into the provinces of Ontario, Quebec and British Columbia. Using data from CB Insights, supplied by MaRS Market Intelligence, it illustrates the number of deals taking place, some top investors and a few examples of ventures attracting funding. The data demonstrates that over the last five years both highs and lows were evident in Canadian investment activity from angel investors, VCs and corporate VCs. Growth was marked, with a rise from US$87.21 million in investments in 2012 to US$367.51 million in 2016. It’s also interesting to compare Canada on a global stage, since political uncertainty in the UK and the US was thought to have sparked a decline in fintech investment activity in these countries between 2015 – 2016, whereas Canada demonstrated growth.